GAZA, (PIC)-- MP Jamal Al-Khudari, the head of the popular committee against the siege, has said that the Turkish relief foundation IHH bought a new ship that would join the Freedom Flotilla on its way to the besieged Gaza Strip. Khudari, in a press release on Saturday, said that the number of ships thus rose to nine, the biggest of its kind to the Gaza Strip, noting that the flotilla is scheduled to arrive by early next month. The lawmaker said that the Palestinian people, especially the 1.7 million Gaza inhabitants, were impatiently waiting for the arrival of the solidarity activists to break the Israeli siege. 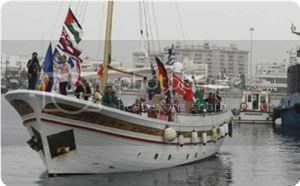 Bulent Yildirim, the president of the IHH foundation, said that his foundation had purchased the new vessel, which would carry 4,400 tons of relief material, and did not care about the Israeli threats to shell the flotilla. 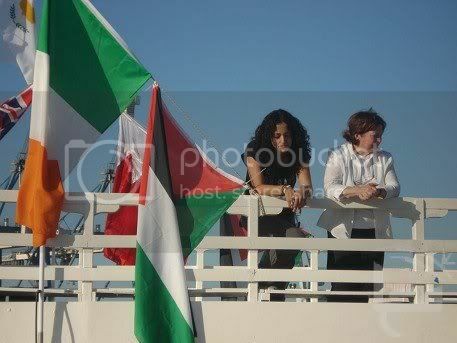 He said that the ships from Turkey would set sail from Istanbul on 21/5/2010, adding, "We are determined to break the siege".